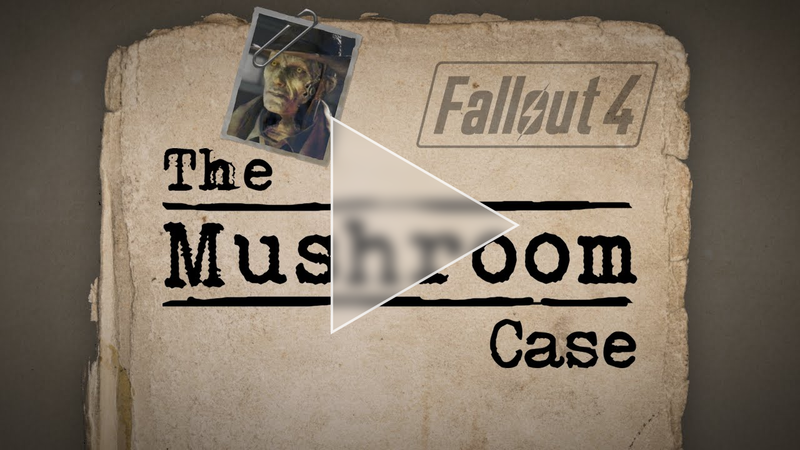 We’ve got a new case to solve: How did Bethesda do these fine mushroom-like explosion clouds? If you don’t know what’s so hard doing such effects, just continue reading. If you do know the difficulties and just want to read the explanation, jump to the solution-section by clicking here. As you see there is some complexity and below I’ll shorty conclude how games tried to solve the visualization in the past. It’s really not a simple task to make something like this with just simple particles and without any extra features like geometry or texture animation which will be explained below. But what was already achieved pretty well is the form of the cloud! But even now the hot gases don’t get “sucked” in again at the lower part of the “donut” like in real-life. That’s why you may use geometries as an addition to the particles – see the next page for details. This is done via UV Animation which basically means that you have some geometry and move a texture along. 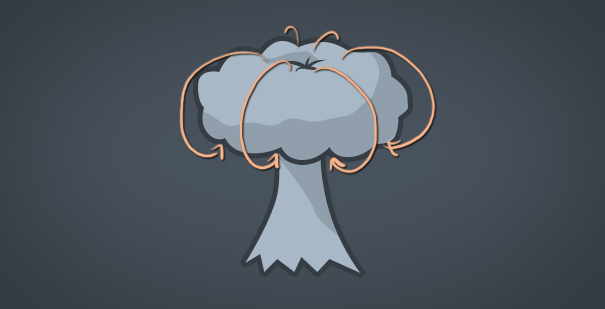 If you fade this in and out (at the beginning and ending of the effect) and combine it with some particle smoke, it works already really well. Now we have not only a good tree-like form but also really nice movement. 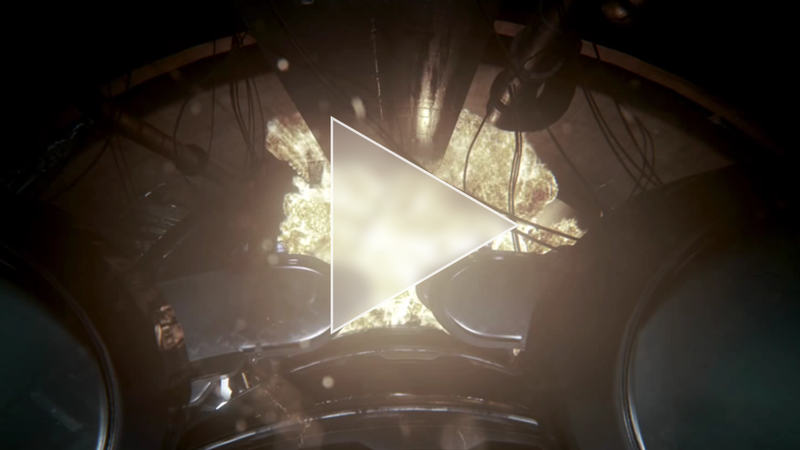 The only thing what’s missing is that the burning gas “convertes” to black smoke (in a more complex way than just fading the bright parts out and only leave some black particles). Doesn’t it look great how the fire gets “eaten” by the black smoke – how it dissolves? Unfortunately I don’t own the game and can’t search for clues but at least it showed me that something like this is possible. But how? It is an atlas texture and it looks wonderful when played – and in addition it’s loop-able! I was confused because the alpha channel makes the whole texture mostly 50% transparent but in the game the clouds are almost opaque. What’s that? For a standard gradient mapping you would only need a texture of 1 pixel height so why do they use a quadratic texture?? 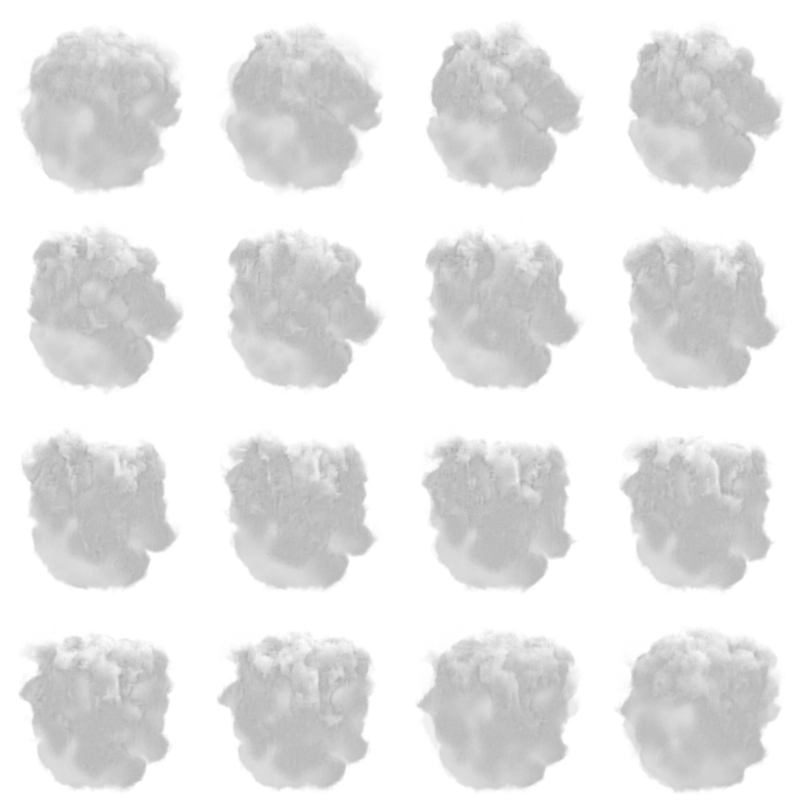 The reason is, that they sample different pixel-“lines” (from bottom to top) depending on the particles lifetime! This is genius! 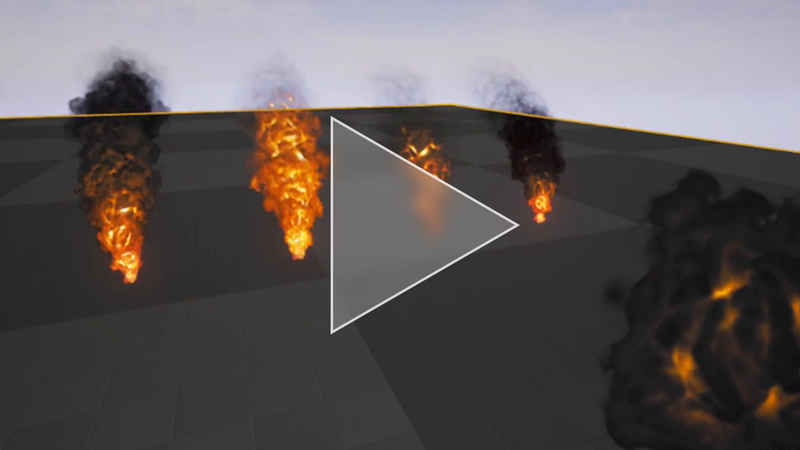 It makes it possible to colorize the smoke with a lot fire at the beginning and the longer the particle raises into the air it gets more and more black. 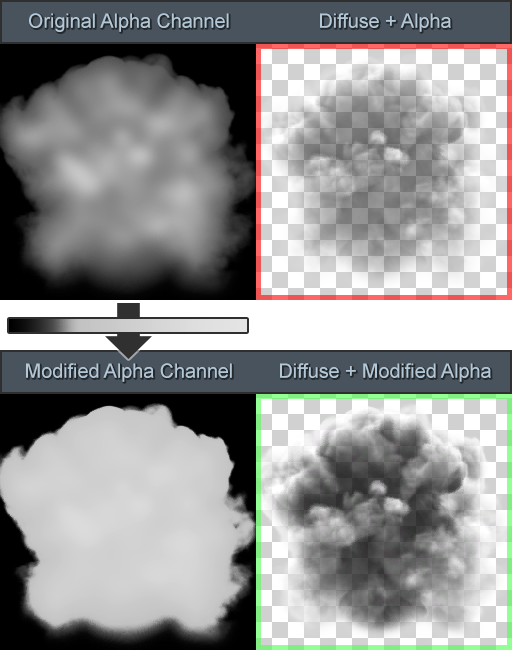 They even changed the cloud shape a bit by modifying the alpha channel over time. This is so awesome! I love that they have a loop-able animation so that can set the particle lifetime really high without having to bake more pictures into the atlas since the color variation is handled separately. For those who are interested, I’ve prepared some more experiments for a better understanding and to note some observations. The color changes like before (which means the shader reads from the center-position of the diffuse channel where the color change happens) but the particle is still visible! I guess the shader handles the alpha channel in a different and non-linear way and sticks a longer time to the first pixel-line. Thank you for following me through all these clues and reading this dossier. If you have any feedback feel free to contact me! The color variations are done like in Fallout 4. The smoke texture is just grey. Froyok twittered this great article about particles + color modification by Alkemi. In addition he mentioned a discussion where someone else asked how the Battlefield 4 explosion was done. Florian Smolka shows his shader-work from an unanncounced game (World premiere!) from the great german developer Mimimi Productions! We even get a look at the textures and commented shader code! How cool is that? Holy smoke! Zoltan Erdokovy explains his method of bringing extra-motion into his smoke without a flipbook-texture in this post. Especially the fiery core looks awesome!! “Nebbul vfx” posted this video on his Youtube channel about combining the Fallout 4 gradients with Motion Vectors. Looks fantastic! Pawige just posted this fantastic break-down of his pixel explosion. I had to add it here! 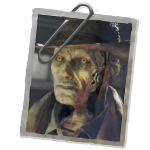 This entry was posted in Game Art Tricks on 23. December 2015 by Simon. Thank you! :) Good to hear! Great article and explanation! Very useful. Amazing investigation, thanks a lot man ! Excellent article. I’ve thought about using color grading that changes over time. Ingenious! Thank you for the detailed breakdown! Really useful, especially because i’m currently working on something similar =) Although i used the remapping before i didn’t thought about using it in that case. 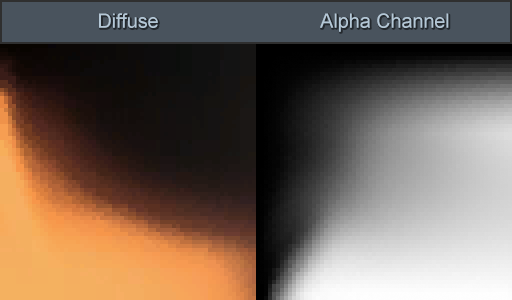 Did they use a extra texture for the alpha channel or just the alpha channel of the flipbook texture? Thanks for this. Really appreciated. I tried the shader provided and it doesn’t give good results ? Is there something missing ? I’m not all that experienced in shader coding. To be honest I didn’t try it out because I’m not that into shaders too. Currently I rely on the great material networks in the Unreal engine. :) But if you give a more detailed report about what’s not working, maybe Florian can help you? Hey! Most likely its due to the texture settings. The ramp Textures have to be automatic truecolor formated, dont generate mip maps and the wrap mode should be set to clamp =) Hope that helps. Thanks for your comment :) But to what point you’re refering at? Oh damn, i thought i pressed the reply button. Was meant for dom’s question. So I wonder how to find the source. Can you give me the information? Both, but especially curious fallout 4! It looks really awsome, not using particles and looks pretty the same like mushroom explosion when you move the object up from the ground. Where is the alpha channel for the Fallout 4 smoke texture? 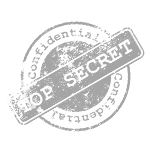 It does not appear to be contained within the DDS file…is it a separate image? 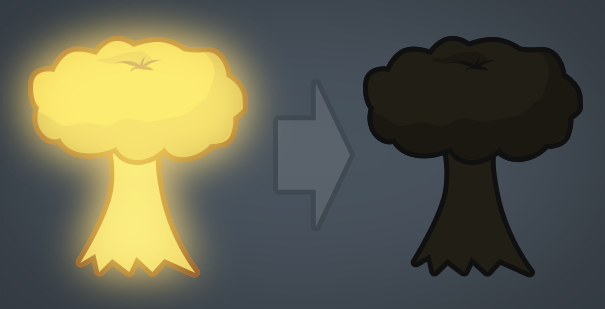 I was wondering if you knew of a shader in Unity (or a tutorial on how to) set this sort of shader up in shader forge or in the new shader graph? Any help would be greatly appreciated. Many thanks for your excellent resource. But instead of using a 1D-gradient, you need to use a 2D-gradient and change the pixel-line you read over time. Basically the lifetime of the particle is the V-Coordinate of the UVs. :) I hope that helped a bit! Many thanks for your help Simon.